I've always suspected that the corporate chefs at Izzy's and other chain buffets, purposely make there food to be perfectly just below average tasting. The customer is lured into the restaurant by advertising that depicts the food as hot and colorful, with a variety of choices to please the whole family. When they actually walk the buffet line, nothing really stands out as looking very good. The customer tries some fried chicken or a slice of pizza knowning that they can get better food almost anywhere else. For a buffet we seem to lower our standards because we think we're getting a good deal. Not really. Because the food is flavorless, one pass through the food trough is about all anyone can stomach. Even the deserts are mediocre. The brownies were inedible and the cinnamon rolls were hard around the edges. An Eat Salem insider called the Izzy's around town and here's what she found out. "I called the Izzy's on S. Commercial. The number was disconnected. Hmmmm…… You'd think they'd have a message as to the closure on there, or perhaps something on the marquee. I called Lancaster location they said they lost their lease and have no plans on relocating. Hmmmm......."
Thanks for doing the leg work. Is anyone out there going to miss this place? Good! That's the second uninteresting restaurant on Commercial to close. Commercial needs better eateries. Buster's, Lefty's, and Izzy's all closing within a week or so. That is quite a change for that block! Is Lefty's gone for sure? I did enjoy their cinnamon rolls. The rest of their food was crap. Lefty's closed again? The pizza was not very good there. Just go to SFNY or Christo's for really good pizza in Salem. Lefty's was great pizza. It's always better for customers to have competition. SFNY appears to be moving into Lefty's on Commercial or just opening up another store. There was a small sign on the front door saying they were coming soon. I live a mile from that location and in the 8 years I've been in Salem I never set foot in that Izzy's - so no, I won't miss it. Come to think of it, in the 15 years I've been in Oregon, I've only eaten at an Izzy's once and I don't recall anything memorable about it either way. The only buffet place I go to (rarely), is the newish Chinese place near that Izzy's - I don't recall the name. The food's good, but like a lot of buffets, unless you're really hungry, it's overpriced. I used to love Izzy's when I was in grade school. I liked being able to choose 4 different types of pizza at once and getting a large helping of whatever jello like desert was offered. Anytime my kids would bring home a coupon from Izzy's for a free kid's buffet they would be so excited and I would groan. UGH...I loathed going to Izzy's, even when I didn't have to pay for it! The last time I went to that Izzy's was six years ago with my aunt and young cousins. The smears on the sneeze guard were so offputting that I didn't eat a thing. I even found spots that had been missed on the inside of my glass. Ok, I take that back. I had some cottage cheese (which I managed to get to right after it was brought out). Needless to say I'm glad to see this one go! I'm sorry to hear about Busters though, I never got the chance to try them. The last few years the cleanliness of the place has been a real issue. The wife and I walked in a few months ago and not only did the floors looked unswept, they had the dirt buildup that takes weeks of mopping with dirty water to achieve. We walked around the place and right out the door. The place was busy, too. 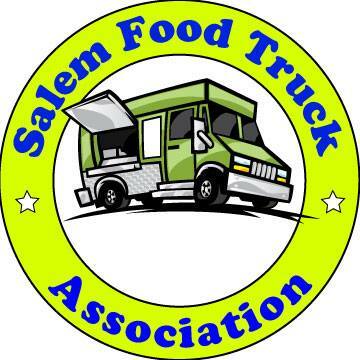 We're always amazed how the people in Salem will eat just about anything - no matter the conditions - as long as the pricepoint is right.